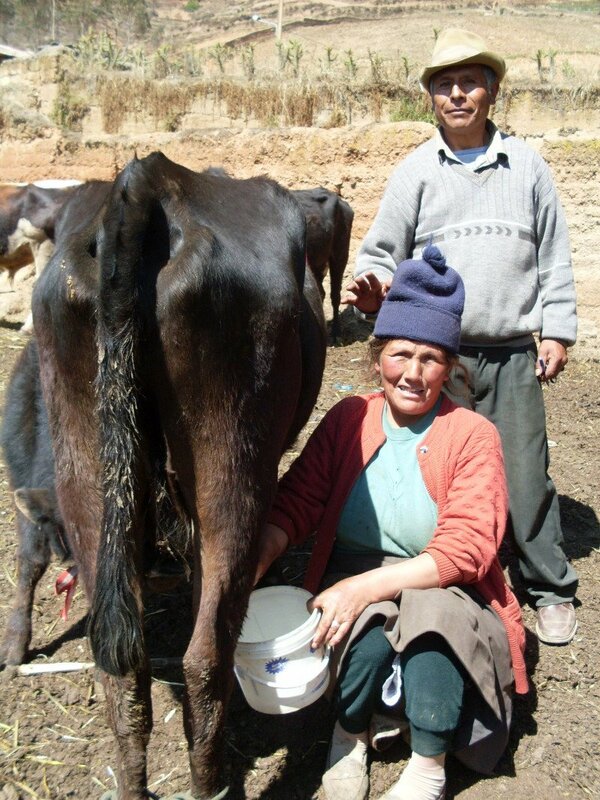 Mellow Monk just made its second microloan through Kiva, this time for Peruvian dairy farmers and cheese makers Gaudencio and Hilda, who are going to use the funding to buy fertilizer and feed. You too can join the Mellow Monk lending team to support this most worthy cause. Learn more about how Kiva.org works here. Getting milk to make some of their famous cheese. Marty Travis bought back the family farm piece by piece. Soon after, a nearby cousin asked his help in clearing some land overgrown with wild ramps. Most folks considered the plant—also known as wild leeks—a troublesome weed, but today Marty is selling ramps and other offbeat crops to chefs all over the country. Harvesting squash blossoms at Spence Farm. A recent favorite of mine on Cooking with Dog is How to Make Green Tea Ice Cream (Matcha Ice Cream). This recipe calls for matcha ... say, something like this. The Japanese martial art iaido is sometimes referred to as the art of drawing a sword from its scabbard, or its practitioner as wielding a sword "not to control the opponent, but himself." But like most martial arts, iaido has its roots in actual combat—in this case, reacting to an opponent who has drawn his sword first and already begun his attack. Think about that: Facing an opponent coming at you with sword drawn, when yours is still in its scabbard. Being in that situation must have been frightful indeed, hence the need for this highly specialized training. A key concept in iaido is being completely reactive—restraining your emotions so thoroughly, and focusing so completely on your opponent, that you can anticipate his movements and begin countering his strike before it begins. But it is impossible to read an opponent so deeply while being distracted by one's own emotions, hence the need to subdue fear, anger, and all other emotions. And in the tea ceremony (sado), as a host about to receive a tea guest, one is trained to similarly subdue one's emotions completely (kokoro wo mu ni suru) and instead focus on your guest to the point that you become the selfless host, instantly anticipating your guest's needs and preempting any displeasure before it occurs. It's ironic, though, that a skill honed for battle is the same needed to fulfill the aesthetic and spiritual potential of something as peaceful as the tea ceremony. Filming an iaido student last year at the Senshinkan (洗心館) dojo in Hitoyoshi City. The sword is real ... and real sharp, hence the respectable distance the crew is keeping. 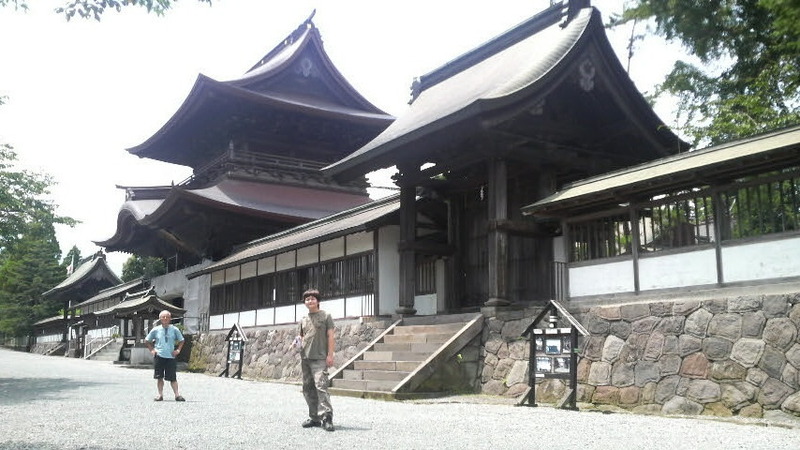 Here's a shot that someone from Aso city hall took of a French crew filming a Mellow Monk tea master for a documentary about Kyushu. Sustainable food has an élitist reputation, but each of us depends on the soil, animals and plants — and as every farmer knows, if you don't take care of your land, it can't take care of you. Just one hint for the editors of Time: using an accent mark in élitist comes off as elitist. 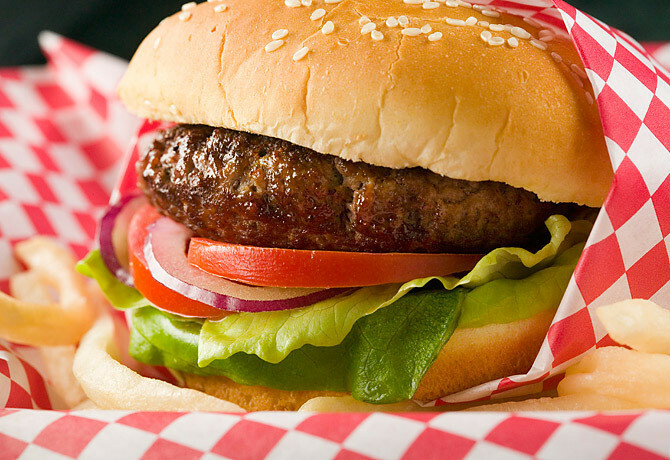 A mouth-watering burger like this made from sustainably produced meat, grain, and vegetables is not only better for the land but better for you, too—and still just as mouth-wateringly tasty. After six generations on the same 400 acres of rolling pastures, lush fields, and forested hillsides tucked up close to the Canadian border in Vermont’s remote Northeast Kingdom, the Borlands were no longer a farm family. . . . A fit, vigorous 62-year-old, Borland could have kept working. . . . But the dismal prices that dairy farmers are receiving for their milk forced the Borlands to sell. . . . Prices paid to farmers per hundredweight (about 12 gallons) have fallen from nearly $20 a year ago to less than $11 in June. . . . Meanwhile, the price you and I pay for milk in the grocery store has stayed about the same. Someone is clearly pocketing the difference. Perhaps that explains why profits at Dean Foods—the nation’s largest processor and shipper of dairy products, with more than 50 regional brands—have skyrocketed. It's always the little guy that takes the worst hit in times like these, isn't it. 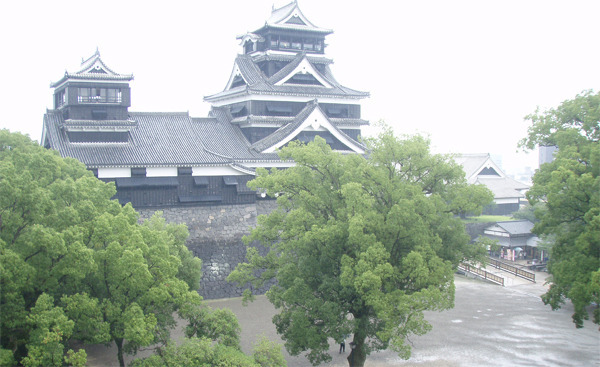 Here's a great shot we took of Kumamoto Castle recently. Isn't she majestic? World Tea News has run a story about Mellow Monk, focusing on a documentary made for French TV that features our primary supplier, a tea master in beautiful Aso. 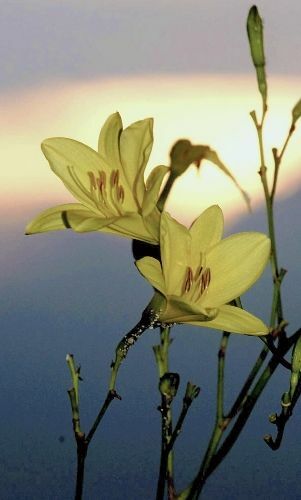 The Japanese word for today is bijin shimai (美人姉妹)—beautiful sisters. As an example, here are the Nagata Sisters. Miho, on the left, and her husband own, work, and run the Nagata Chaen (Tea Plantation). They are good enough to share their wonderful tamaryokucha-style green tea (guricha) with Mellow Monk. Mellow Monk is mighty proud to announce two new additions to the family — Matcha-Style Powdered Green Tea and Blissful Buds™ Silken Pouches. 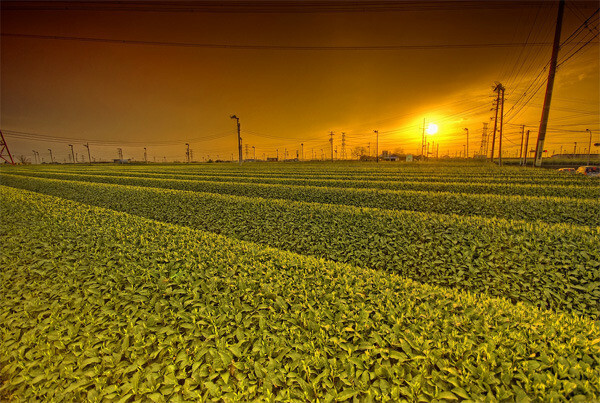 Both teas represent a fusion of Japanese tradition and technology. Our matcha is made by tenderly nourishing yabukita plants and gently harvesting the leaves, then using an ultrafine granulation process. The result is a soft, silky green tea powder that dissolves completely even in cold water and won't foam excessively in hot water, like traditional matcha does. Similarly, Blissful Buds™ Silken Pouches combines our ultra-luscious Blissful Buds™ green tea with ultra-modern nonwoven silken mesh infusion pouches. The optimal mesh size keeps the tea inside while letting the hot water flow in and out freely, so that the leaves can swirl around unfettered in the cleverly engineered pyramidal pouch. I couldn't be more proud of our two new babies. And it's nice to know that no matter how big they get, they'll never roll their eyes at us on karaoke night. 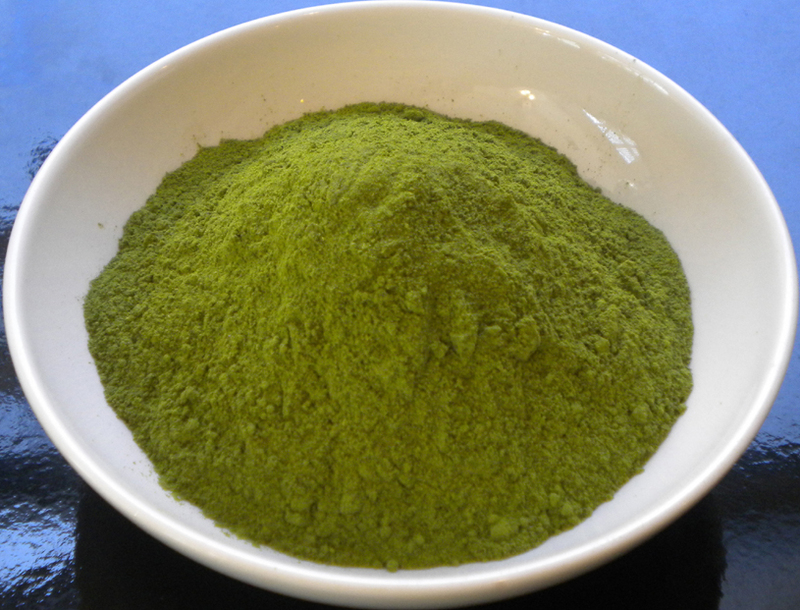 Sumptuous matcha-style powdered green tea, perfect for brewing hot or cold or for "greening" your everyday cooking. 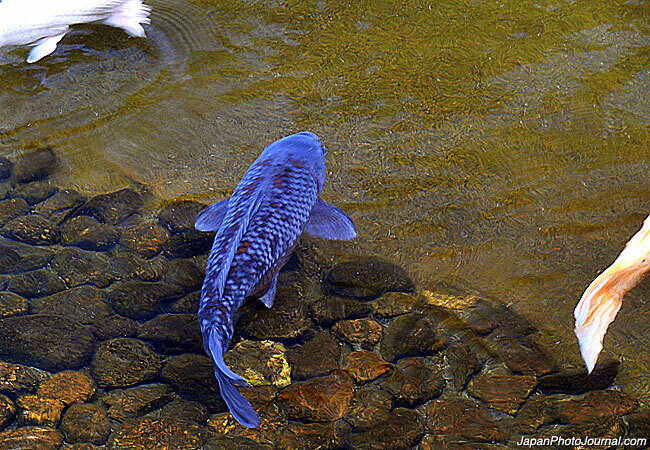 Here's an animated slideshow of some photos from our recent tea-buying trip to Aso, Japan. It was so much fun—breathtaking nature, delicious tea, wonderful people. 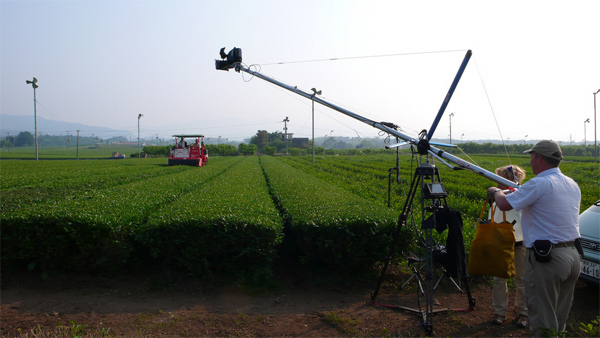 Here's a great shot of the cameraman and director filming their green tea documentary in the wilds of Aso last year. The black-covered rows in the left background are kabusecha plants, the exact same kind from which our Shaded Leaf is made. Click for the big pic. Husband-and-wife team The Houston Hill have produced two wonderful entries for the Calm-a-Sutra tea video contest: "The Teacup Tango" and "The Scale of Tea." Here is a pic we recently took of the wall and gates around Aso Jinja, located only a mile or so from our growers' tea orchards. A new study shows that green tea can cut your risk of hematological malignancy—cancer of the blood cells, bone marrow, or lymph nodes—by as much as 50 percent. The research, published in the American Journal of Epidemiology, looked at the health histories and green tea consumption patterns of over 40,000 participants. The folks who gained this benefit were those who drank 5 cups of green tea or more every day. In other words, a cup a day just isn't going to cut it—you really have to make green tea a part of your life. The good news, however, is that doing so brings so many other benefits, too. Have a nice rest tonight, sweet leaves. You'll need your strength to soak up more sunshine tomorrow. 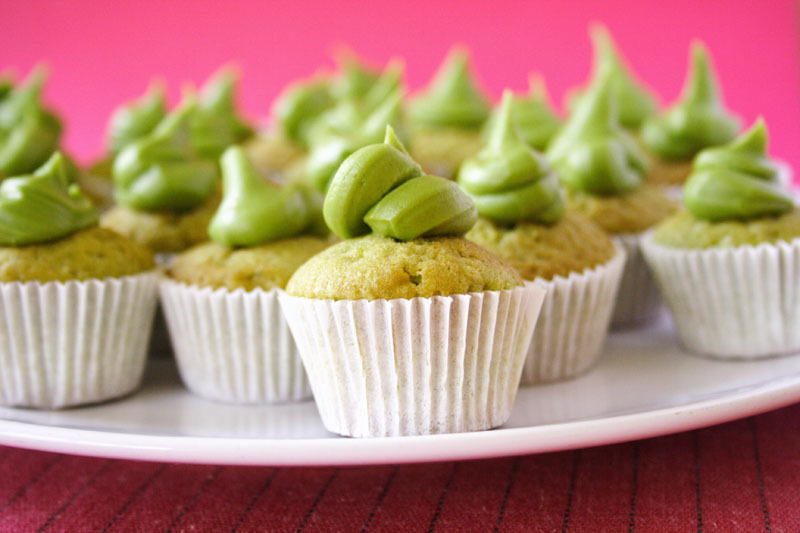 Bonnie Anderson has a yummy-sounding recipe for matcha cupcakes. If you make this recipe, feel free to send review samples to yours truly. 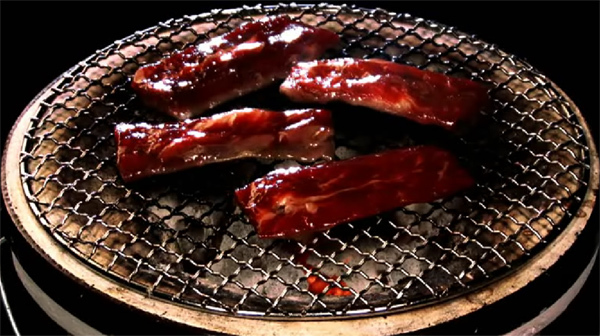 Some people are missing the point about "Air Yakiniku," which bills itself as a "virtual online barbecue." The site instructs you to sit down in front of your computer with a real bowl of rice and some tare (dipping sauce) and pretend to eat the strips of meat shown grilling on screen. The joke is that the economy is so bad that people can only afford a "virtual" barbecue, and that you could actually trick yourself into believing you were really eating actual meat. Then again, far more outrageous deceptions have been successfully propagated, such as the claim that a can of water, high-fructose corn syrup, and assorted chemicals is actually tea. Hmm, doesn't it look scrumptious? And the best thing is that it's free! 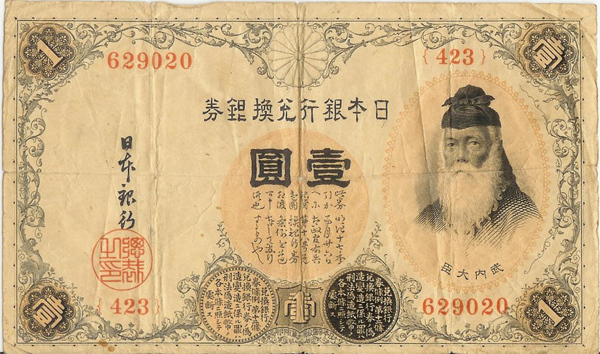 Over at Gongfu Girl, Cinnabar blogs about making shinobicha with Mellow Monk's Top Leaf Green Tea. Shinobicha is tea brewed cold and slow: Ice cubes are placed onto the dry tea leaves, after which you can either sip the cold, brisk brew a sip at a time, as it slowly steeps, or wait a while until all of the ice has melted. "Shinobi" means patience or endurance, which is what one obviously needs to brew tea this way. Because if you thought waiting for water to boil was frustrating, then try waiting for ice to melt. Then again, some things are worth waiting for, and shinobicha is a special treat that definitely is. A cup of post-melt shinobicha. Despite the recession—or perhaps because of it—new tea shops continue to open. This dovetails with another recent story—that people in the U.K. are drinking even more tea in these hard times. One of the toughest shots the crew and I did in Aso and other parts of Kyushu last year for the documentary was this one, the infamous Crane Shot. The crane took almost two hours to set up, so we had to get to the tea field at the crack of dawn—before the tea grower did—so that we'd be all ready to go when he got there. Because the crane wouldn't always behave as we wanted it to, we had to redo more than a couple of shots, which didn't exactly please the grower much, but he did his best to accommodate us. After filming, the crane then took another hour to break down and put away. In its six-foot-long torpedo-shaped case, stretching from the back of my headrest to the hatchback door, the crane took up more space in our van than any other piece of equipment. And because, in the event of an accident, my head would have slowed down the case only imperceptibly on its way through the windshield, the crane was also a large incentive to drive safely. Why Do You Drink Tea? is Ryan Gatts's entry in the 2009 Calm-a-Sutra contest. Ryan's hoping to win the sizable scholarship that the first place prize comes with. Part of the judging is based on the video's popularity on YouTube, so please vote, gentle readers. Have you ever wished you could sip green tea and play the ocarina at the same time? If so, your prayers have been answered ... by the Teacarina. There are always profitable exceptions to every recession, and in Japan right now, one of those exceptions is the love hotel. 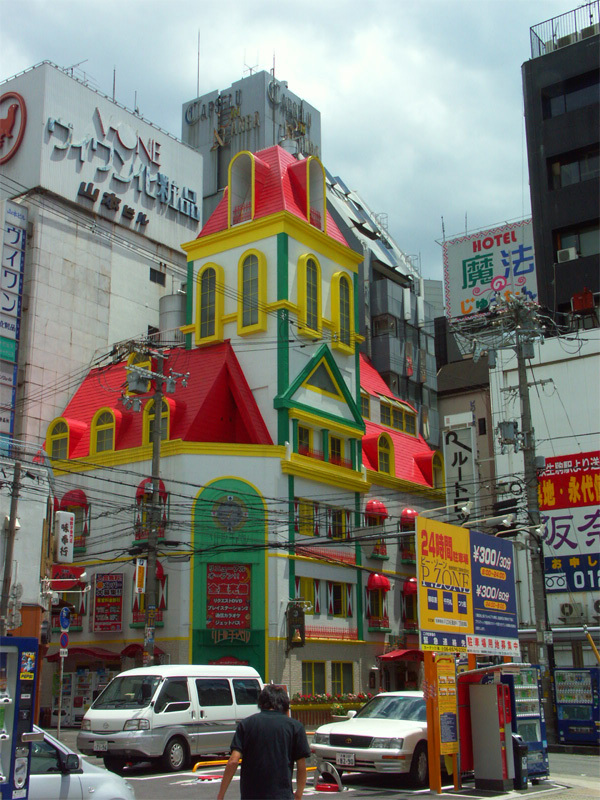 Love hotels aren't too hard to spot.